Join the Trussell Trust and the All Party Parliamentary Group on Poverty for a presentation and discussion on the causes and effects of emergency food provision in the UK and positive solutions for reducing hunger in Britain in the future. How the foodbank response looks now across the UK and who the Trussell Trust is working with, from healthcare workers to housing associations. This includes an explanation of the referral process. What new evidence is useful for understanding of the drivers of crisis and foodbank use in 2016. This includes recent work with Hull University on data mapping and forthcoming research with Oxford University. Priorities for the future. 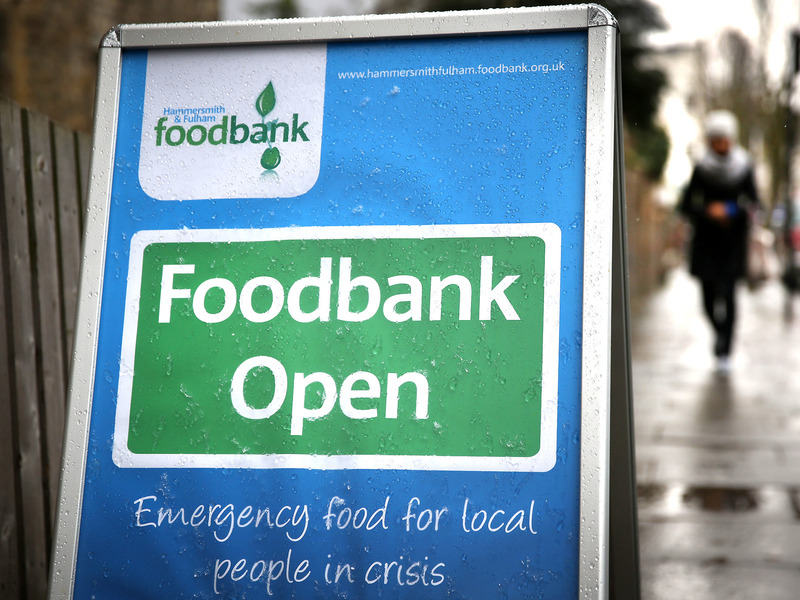 How foodbanks and charities are rising to the challenge, including an analysis of successful interventions by charity projects and joined up working on housing, debt and welfare advice, fuel, travel costs and welfare advice. Areas the Government can help address, including measures to address low pay and benefits delivery. Tom Sefton – Economics and Social Policy Advisor for the Church of England. Tom is part of the End Child Poverty Coalition Steering Committee who are organising a campaign looking at the Poverty Premium. Rachel Gregory – External Relations Analyst at Christians Against Poverty. Rachel will speak about CAP’s experience of the Poverty Premium, particularly around prepayment meters, and what CAP are doing to help people out of poverty long-term. There will be plenty of time for a discussion and Q&As on the implications of the growth of emergency food provision, thoughts on the evidence so far and gaps in the knowledge about foodbank usage and food poverty prevention. Please arrive at the Portcullis House entrance to the Houses of Parliament by 10.00 in order to pass through security. You may be asked for ID. Information about visiting Parliament can be found here. Tea & coffee available from 10.15.